It is essential that every Selective Asia guest arranges comprehensive travel insurance cover for the duration of their holiday. Travel insurance is a vital part of any travel plans, helping to ensure your safety, wellbeing and financial security if things go wrong, both before you depart and while you are away. Our recommended policy is valid for all nationalities travelling from any country to any worldwide destination. The policy does not penalise travellers aged up to an age of 79 with higher premiums. The most important features of the travel insurance policy are comprehensive cover for medical expenses, emergency repatriation and personal legal liability. To arrange your Journeyman Services Travel Insurance Policy please CLICK HERE. We recommened that you take the time to read the Key Facts, Policy Wording and Terms of business documents to ensure that you make a fully informed decision. You do not have to take this policy and many of our guests will have an existing policy, or may choose to obtain cover elsewhere. However it is essential that you check the validity and levels of cover you may already have. In particular, be very wary of the validity and levels of cover offered by credit cards, home insurance or private health insurance. Your travel insurer must be able to provide a 24-hour emergency assistance number. In the event of a claim arising, contact your insurer as soon as possible to make them aware of your situation and that a claim will be arising. Keep as much paperwork and supporting documentation as possible, including any medical bills, receipts and police reports. For our UK customers we recommend you refer to the British Foreign & Commonwealth Office (FCO) Travel Aware web site for specific advice about your chosen destination. The safety of our clients is paramount and as a matter of course we follow the advice of the FCO: it goes without saying that their first priority is the safety of British Citizens and they will always err on the side of caution. They have many thousands of employees all over the world whose job it is to monitor political, social and economic situations in the country in which they live. 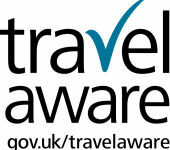 They feedback information and advice to the FCO, which in turn assesses the information and disseminates its recommendations via its Travel Aware service. Many other governments have their own, similar services and we would always recommend that you refer to these before departing on your holiday. UK law dictates that Selective Asia, as with many other tour operators, cannot arrange travel insurance directly for our clients any more (despite many years of successfully doing so!). This law stipulates that travel insurance can now only be provided by licensed operatives. The travel insurance policy that we recommend is provided by Journeyman Services and is underwritten by AXA PPP Healthcare Ltd and regulated by the FCA. It has been designed for our holidays and is available to all clients worldwide. Journeyman Services additionally have claims processing centres in North America, Europe, the Middle East and Asia Pacific. To contact our insurance partners from Journeyman Services travel insurance, please CLICK HERE.